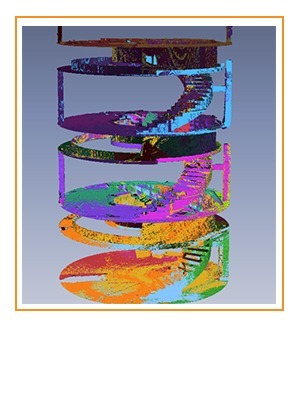 Our experienced sales and estimating team delivers project-specific takeoffs, proposals and submittals featuring the most advanced 3-D modeling. Subsequently, our seasoned engineering team reviews each project to confirm design intent, IBC code compliance, and structural analysis, while also identifying any potential conflicts throughout. Leveraging our experience, we collaborate with the construction team, specifically creating synergy with the project’s design intent and the actual constructability of the final product. 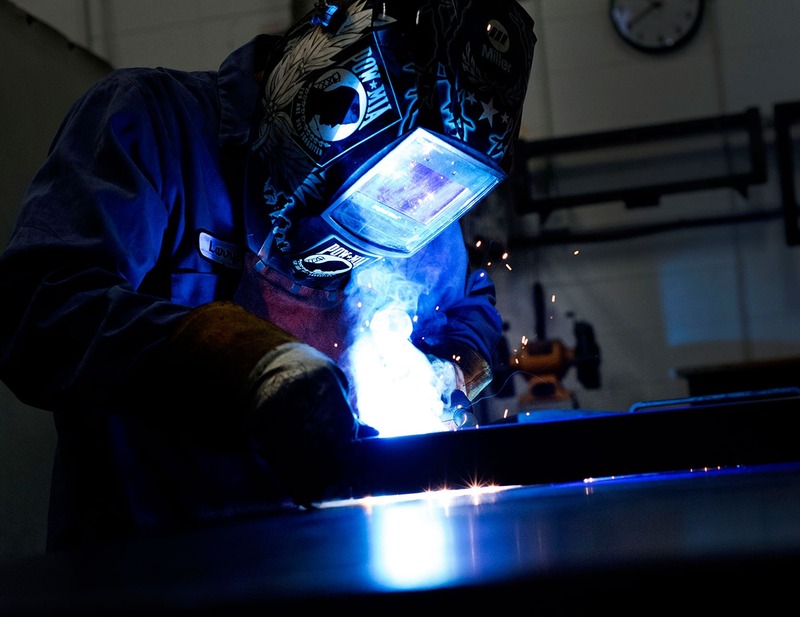 We understand our role is more than just a fabricator of a designer’s concepts. To us, it is about becoming a meaningful partner taking responsibility for all facets of the project, from the conceptual beginning to the successful end result. We believe success is a result of the effort put in during the preconstruction phase of a project. Having supplied railing for some of the largest projects in the country, our wealth of experience provides us with the tools and knowledge necessary to provide both exceptional customer service and unrivaled results. From the development of a brand new system to code reviews, Trex Commercial Products has you covered! 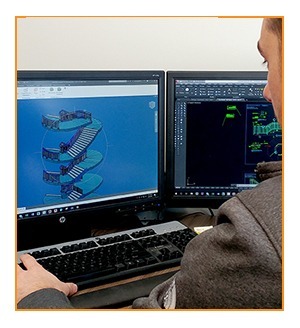 Our approach is built around our in-house professional engineering and design group which rely on the 3-D modeling process to design, fabricate, and install our railing systems. 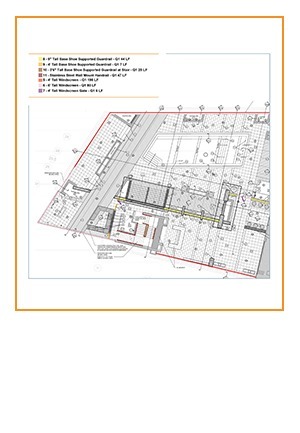 Each project is reviewed to confirm design intent, IBC code compliance, and structural analysis, while also detailing any potential concerns with drawings and/or other trades. By utilizing our modeling, we’re able to confirm we’re building a compliant product, in a cost- effective manner that accommodates your project’s requirements. With project specific completed takeoffs, proposals to plans and spec, and submittals featuring 3D modeling, we truly offer a one-of-a-kind glass railing experience. 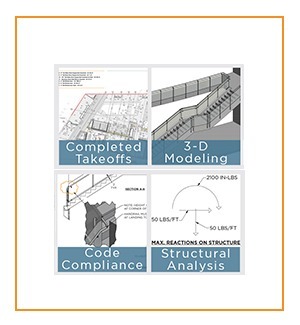 Download the Process Booklet below for a step-by-step approach to better understand every element of the design and delivery process with Trex Commercial Products. Trex Commercial Products offers the latest in high definition surveying technology (HDS). Our advanced form of field analysis uses 3-D scanning, delivering precise dimensions while saving valuable time and money. Offering an accelerated track to the manufacturing process, HDS eliminates the risk of human error, delivers field accurate designs, and saves the time and cost associated with manual field measuring. This advanced process is highly adaptable for use on a diverse range of commercial projects – from small venues to professional sports complexes – and offers the ideal complement to our industry-leading design team and premium railing systems.